Inter-communal conflict in Kyrgyzstan flared up in 2010. Since then ethnic Uzbeks, the largest racial minority, have been on the move. Sometimes they travel to Russia; sometimes back again. 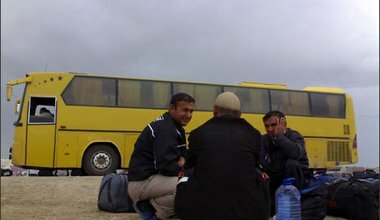 It's always difficult to know where to call home, says Abdujalil Abdurasulov. China's plan to transform the heart of Uyghur culture, learning and urban settlement - Kashgar old city - is well underway. The fact that the Uyghurs themselves have no voice in this process gives the experience a wider significance, says Henryk Szadziewski. New nation states frequently need to create a ‘national myth’ to justify their new status, and Kyrgyzstan is no exception. 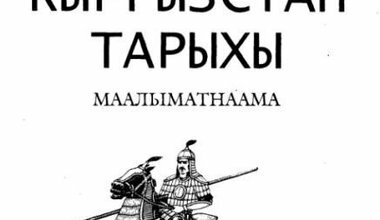 Since its emergence as an independent republic in 1991, historians have been drawing on Chinese and Russian historical sources in an attempt to trace Kyrgyz history back to ancient times. But, inevitably, the most controversial — and contradictory — part of their stories relate to the recent Soviet past, says Damira Umetbaeva. Tensions in Kyrgyzstan are often reduced to a division between the north and south of the country, and it is widely feared that the upcoming presidential elections will trigger violent conflict. But are the causes of disagreement so simple, asks Elmira Satybaldieva, and is it necessarily true that violence will follow? 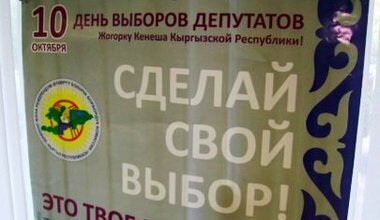 Presidential elections in Kyrgyzstan: end of a parliamentary experiment? The first round of Kyrgyzstan’s presidential elections will take place on 30 October, with the likely victor and the future of the political system far from certain. Asel Doolotkeldieva profiles the contenders, and wonders if the country can manage electoral conflict without it spilling over into political violence. 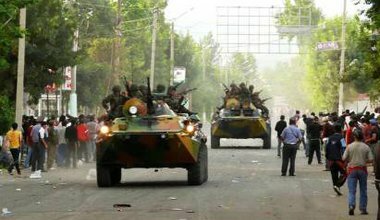 Poorly researched, political and overly assertive, the official report into last year’s violence in Osh and Jalalabat leaves as many questions as it answers. The national discussion to follow must avoid similar pitfalls. After four years, the UN peace mission in Nepal will leave the country with an uncertain political and security future. 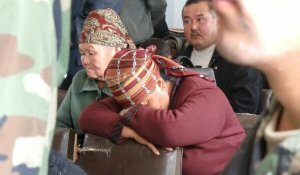 Kyrgyz national commission blames Uzbeks for last year’s deadly ethnic violence. Sudan may be removed from the US state terror sponsor list by summer, officials say. All this and more in today’s security briefing. 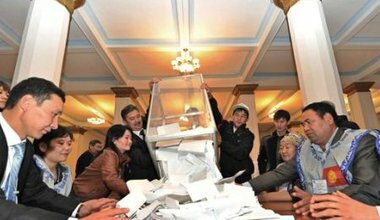 Kyrgyzstan’s October parliamentary elections revealed a number of teething problems in law and systems, write Alexey Semyonov, Baktybek Abdrisaev and Kuban Taabaldiev. The Kyrgyz electoral bodies would be well minded to adopt an holistic approach to solving them — from the introduction of technological solutions such as e-voting, to involving key stakeholders in the counting process. 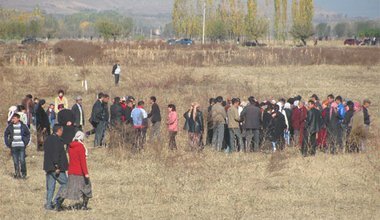 Elections in Kyrgyzstan: a step towards democracy? Will Kyrgyzstan’s progress towards democracy, initiated after the April Revolution, be undermined by victory of the non-democratic parties at the recent parliamentary elections? Or might possibly these parties surprise everyone and accept the changes? Asel Doolotkeldieva weighs up the probable outcomes. Multiple bombs destined for top-level targets discovered in Greece. Iran chides Russia over decision not to honour arms deal. 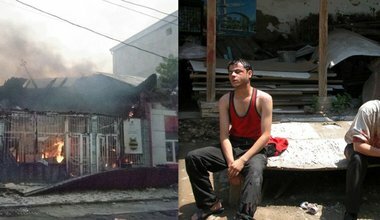 Months after Kyrgyzstan violence, tensions and resentment still running high. All this and more in today's security briefing. 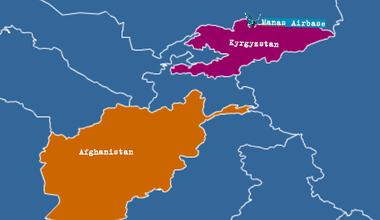 Kyrgyzstan could be the first Central Asian parliamentary democracy. But the southern region has first to be reconciled and stabilized. The way forward is to use the well established Kyrgyz traditions of education to teach acceptance of ethnic diversity in schools and universities, explain Scott Horton and Baktybek Abdrisaev. Kyrgyz elections: the birth of democracy? Recent parliamentary elections in Kyrgyzstan were declared free and fair, but Russia and its Central Asian neighbours feel threatened by Kyrgyz democracy. Will the country be able to juggle its relations with them and with China and USA? 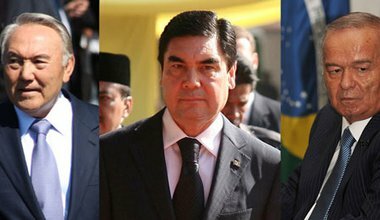 Baktybek Abdrisaev wonders if President Bakiyev’s dark legacy can be overcome. Pakistan reopens critical border crossing to Nato convoys. Heir-apparent and new missiles appear at North Korean military parade. Kyrgyz voters avoid violence in parliamentary election. Budget woes constrain UN war crimes tribunals. All this and more in today’s security briefing. 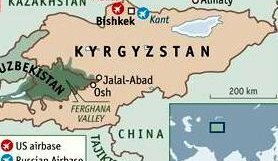 Reporting of the ethnic clashes that took place in the Kyrgyz city of Osh this summer has tended to spotlight the victimhood of either ethnic Kyrgyz or ethnic Uzbeks. This polarisation is but a reflection of competing historical narratives of Osh’s ethnic identity, writes Dr Nick Megoran. 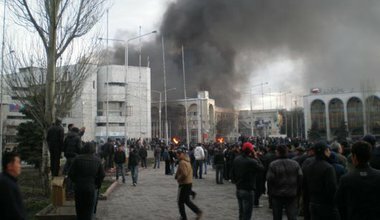 Media reports of disturbances in Kyrgyzstan’s two main cities Bishkek and Osh focused on human rights and ethnicity. However, Balihar Sanghera suggests that the root cause lies in economic inequality.